I'm a Dutch based Software Engineer, with a passion for travel and photography. Start scrolling and learn more about me. I, Bryan R.R.Z. 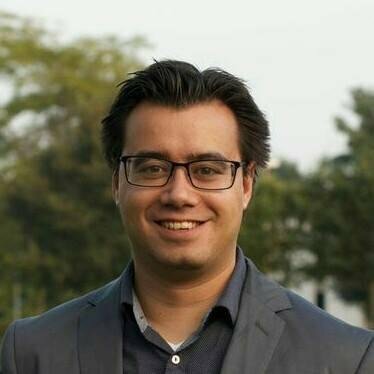 Aaldering (1988), am currently a junior Software Engineer at Sogyo. During my education, I have focused on improving the quality of education for medical, biomedical, dentistry and molecular mechanisms of disease students within the Faculty of Medical Sciences. My main interests are traveling, photography and the use of novel technology in healthcare. The Landelijk Medisch Studenten Overleg (National Medical Students Council, LMSO) represents all medical students in the Netherlands (±18000) through a National student consultation. Its members are all student members in the executive boards of the university medical centres, and representatives from the student councils from the 8 Dutch medical schools. In addition, LMSO is in close contact with the National Federation of University Medical Centers (NFU). Student representative for medical students (Medicine, Biomedical Sciences, Dentistry & Molecular Mechanisms of Disease) and student member of the board of executives of the Radboud University Nijmegen Medical Center. Taking care for students participation in policy making through advising on short and long term educational topics, achieved through intensive contact with students, education directors, executive boards of both university and hospital, policy makers and teachers. Atheneum is the main educational track of the Dutch "University Preparatory Education" (EQF level 4). Major in Science and Health, which included courses in Physics, Chemistry and Biology. In addition, an elective in Management and Organisation was chosen. The school research project was on the use of antibiotics in milk for human consumption. Research intern at the Department of Gastroenterology and Hepatology at Radboudumc, Nijmegen. The goal of the internship was to perform a network meta-analysis on the efficacy of direct antiviral agents in patients with hepatitis c virus. Based on this internship, a research paper was published. The paper can be read here. Bryan has a get-things-done-mentality and has clear views what is best in difficult situations! During our time working together on the LMSO Congress, the team has built on his expertise and we couldn't have done this without him! Feel free to contact me! Just fill in the form below, and I will reach out to you soon! Alternatively, you can send me a text message or give me a call.